We are skilled tradesmen that pride ourselves on a high standard of workmanship. 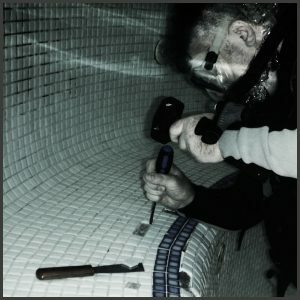 Whether it is a large or smaller more isolated areas we are able to complete all tiling underwater. This enables us to provide our clients with a more time efficient and cost effective service. We have developed an effective method that allows us to re render and re screed defective screed and render in preparation for re tiling. We boast great supplier links that enable us to source new and older designs of tiles.